Mayor Rahm Emanuel's proposed water and sewer tax hike, aimed at stabilizing pension funds for municipal employees, was approved by Chicago's City Council Wednesday. The proposal passed with a vote of 40-10 after being approved by the council's Finance Committee last week. The increase would begin in 2017, generating an expected $56 million that year and approximately $239 million annually by 2020 and 2021. That money would go towards increased funding to the Municipal Employees Annuity and Benefit Fund. The city will seek approval from Springfield for the increased contributions. While the City Council Finance Committee also passed the proposed incease, some aldermen had concerns about the idea. 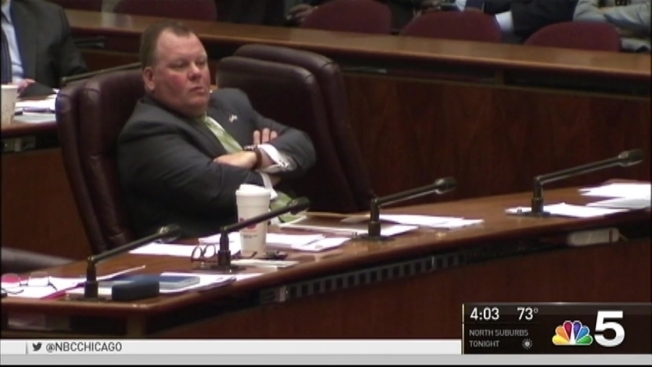 "My colleagues expressed concern this isn't the total solution," Ald. Joe Moore said before the vote. "Somewhere along the way we're going to have to supplement it." Meanwhile, Budget Director Alex Holt said, "the approach we've really been focused on is to get these funds on a path of solvency." In 2017, Chicagoans would pay $0.59 per 1,000 gallons based on their water-sewer usage. Current meter rates are $3.81 per 1,000 gallons. The tax rate would then increase by approximately 7 percent annually over the next five years. In 2020 and 2021, the ending tax rate would come to $2.51 per 1,000 gallons of water-sewer usage. Additionally, Chicagoans who don’t pay their water and sewer bills within 24 days would incur an additional interest charge of .25 percent per month. “These are difficult decisions, and I know the solutions are not easy, but we will finally be honest about the cost of running the city, we will finally be able to confidently invest in our communities, and we will leave Chicago better than we found it for our children and grandchildren,” the mayor added. The first payments related to Chicago’s recent $543 million property tax hike were due at the beginning of the month. That tax hike is being used to raise money for pension payments to city police and firefighters.